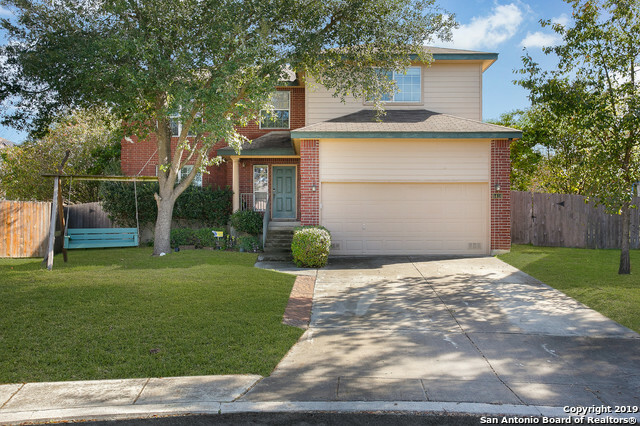 All PHEASANT RIDGE homes currently listed for sale in San Antonio as of 04/22/2019 are shown below. You can change the search criteria at any time by pressing the 'Change Search' button below. "Price Reduced! Beautiful home on a large cul-de-sac lot! This home features updated flooring, surround sound throughout, fireplace, lots of windows provide the home with natural light, large kitchen boasts center island, pendant lights, breakfast bar & opens to the family room. Master features a HUGE walk-in closet, double vanities, separate shower & garden tub. 2 car garage. 2 blinds throughout. Great location and schools. Huge private grassy backyard with jacuzzi & gazebo that is perfect for e"